There isn’t anything better on a cold winter morning than a hot cup of coffee and sausage balls. I’ve been craving them while my husband has been requesting them. Our little boy loves to dip them in my homemade maple syrup and the recipe for maple syrup is listed under ‘Breakfast’. In a large bowl, combine sausage, biscuit baking mix and cheese. Form into walnut size balls and place on baking sheets. Bake in preheated oven for 20 to 25 minutes, until golden brown and sausage is cooked through. 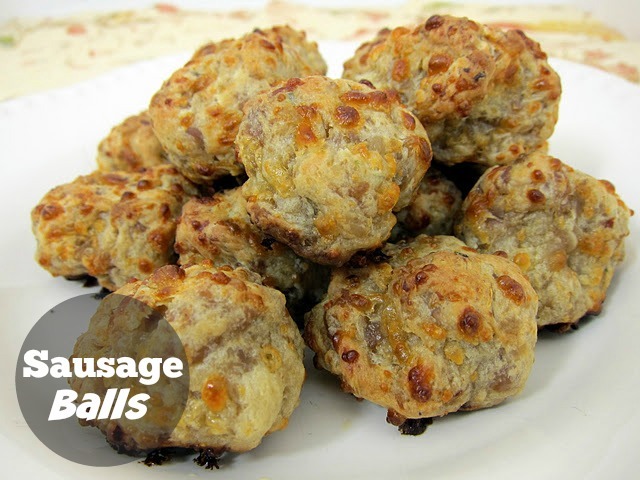 Footnote: Precooked sausage balls may be frozen and then reheated at 350 degrees for 10 minutes.